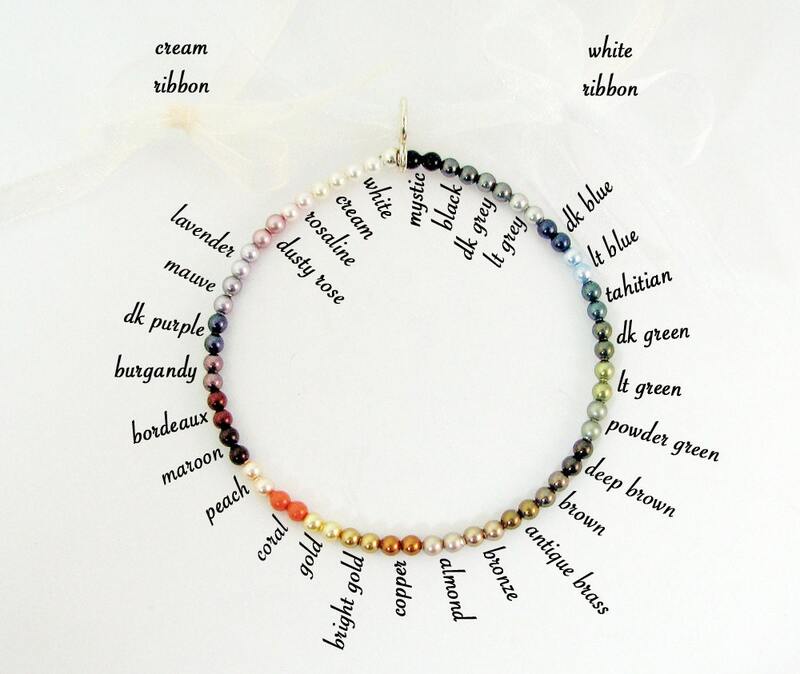 This is a vintage style double strand pearl bracelet that measures 7.25" and has crystal pearls by Swarovski that can be ordered to match your pendant; simply request a color chart for options. 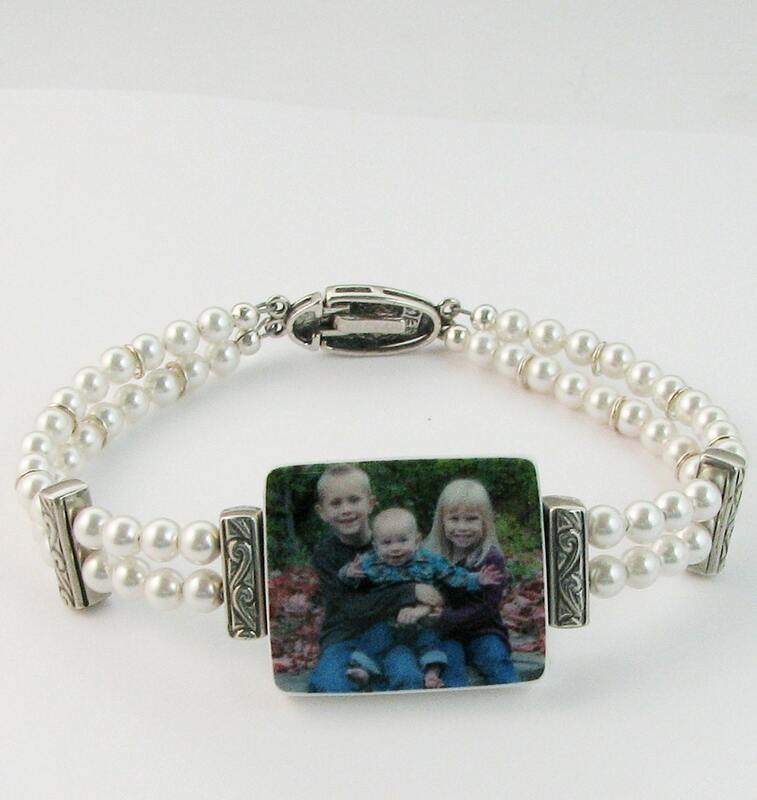 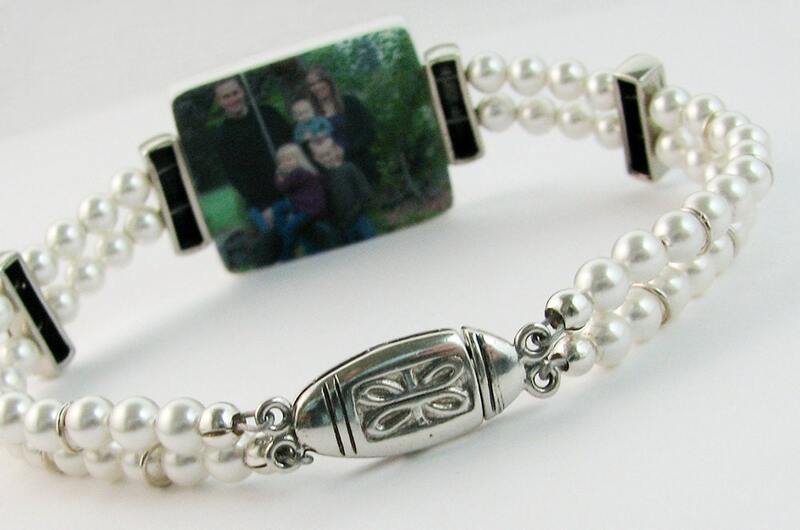 It has an elegant, sterling silver clasp and a two-sided custom photo pendant that measures up to 1" X 1". 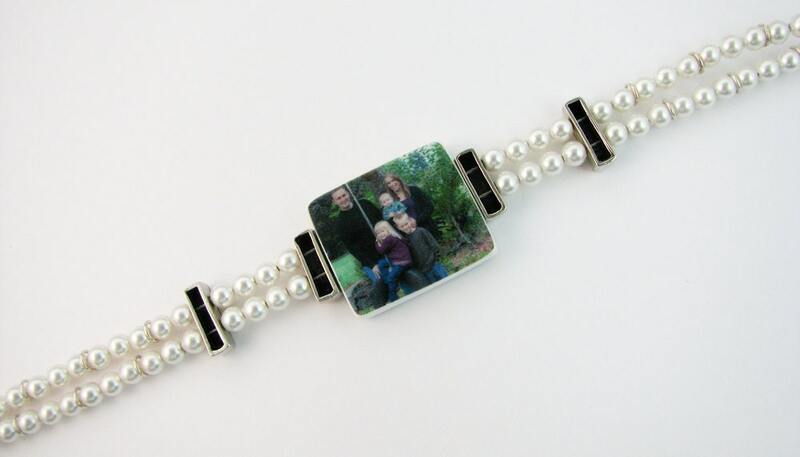 You can include a second image, or a message on the back if you choose; however, it is not reversible.